Learn more about Auto Dippers here. Total basket and net weight is about 15 lbs. Mounting pole with floor and side bracket, hand winch, aluminum arm, with mounting bolts and instructions are included. 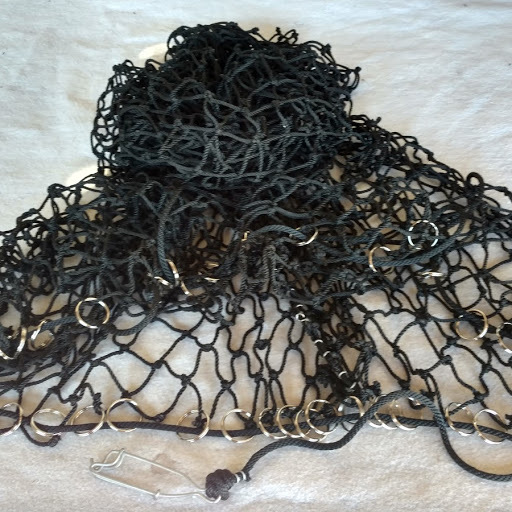 The clam bag attachment is the best all purpose design that works great for every type of crab line, including tie direct bait, snood lines and clam bags. 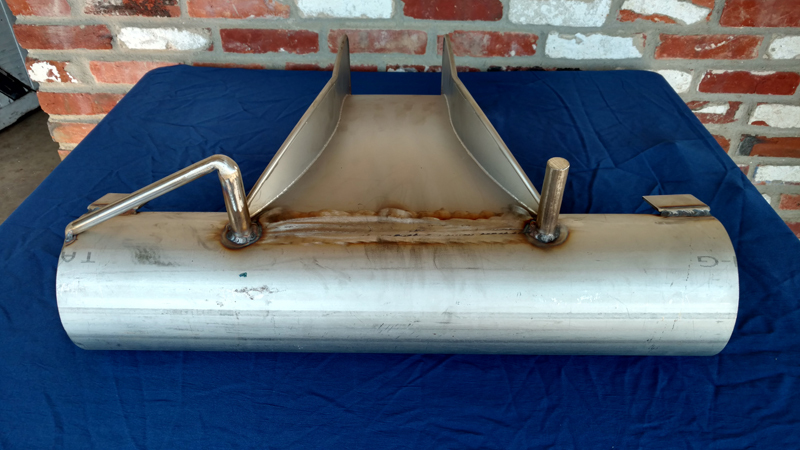 The design allows your crab line to ride smoothly over the large dia SS pipe, and thru the SS ramp supporting the crab line. 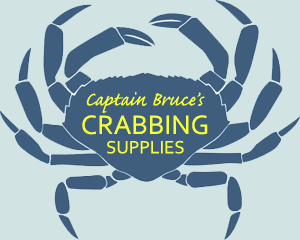 This design is proven and has been used by commercial crabbers for years. This design allows the line to run smoothly over the basket without the crab line jerking. 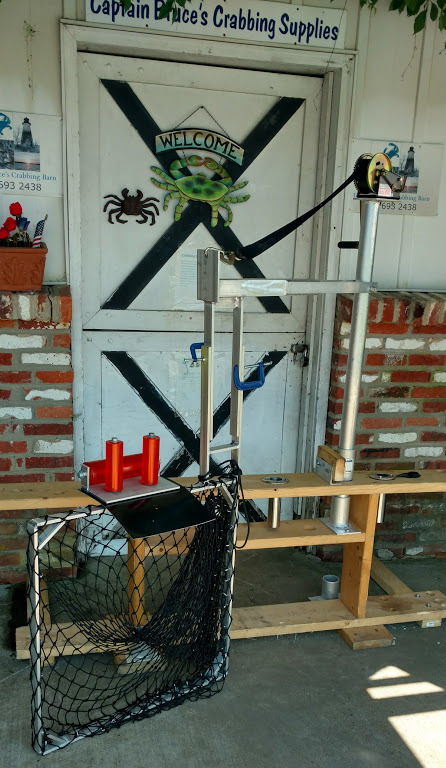 This attachment is designed with a crab line guide which allows you to guide your crab line into the SS ramp just by running the SS guide into the crab line. 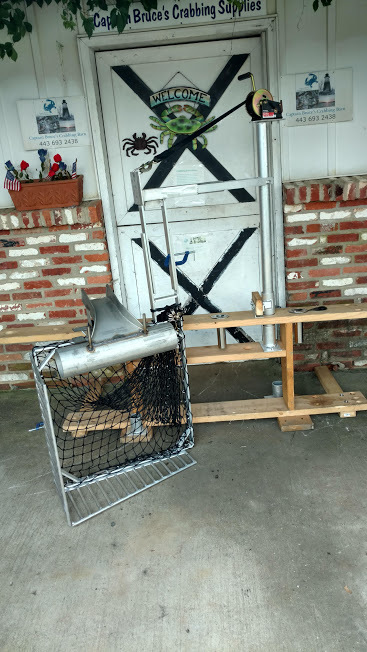 The roller assy and the razor clam attachment are interchangeable and will fit on both dipper baskets made by Captain Bruce. 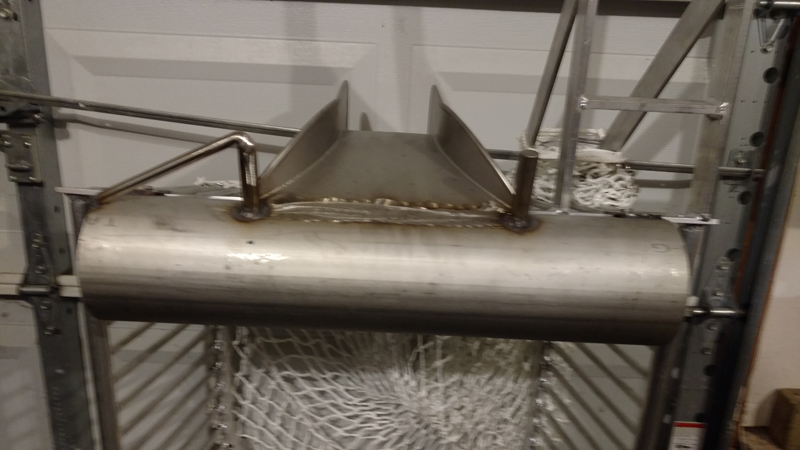 The TIG welded stainless steel clam bag attachment is bolted to the top of dipper baskets for easy removal. 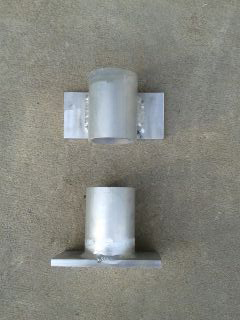 Side extensions are 13" wide and weigh 9 lbs for a set. NEW AND IMPROVED! The basket is TIG welded and made out of aluminum. The basket with extensions weigh 38 lbs. 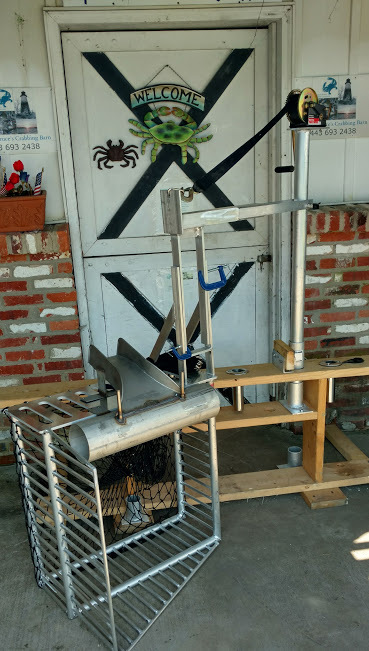 This clam bag attachment is all stainless steel (included are poles, brackets, hardware and winch). Everything is included for a complete dipper. NEW AND IMPROVED! The basket is TIG welded and made out of aluminum. 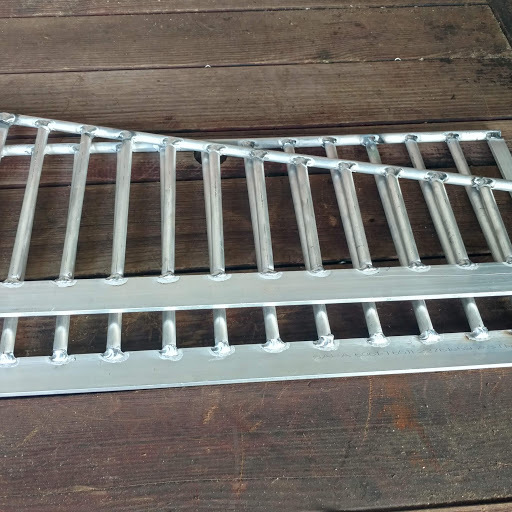 The built in left side extensions are 12" long, and the basket basket is 11" long for a total of 22" overall on the left side. This dipper comes standard with heavy duty commercial rollers. 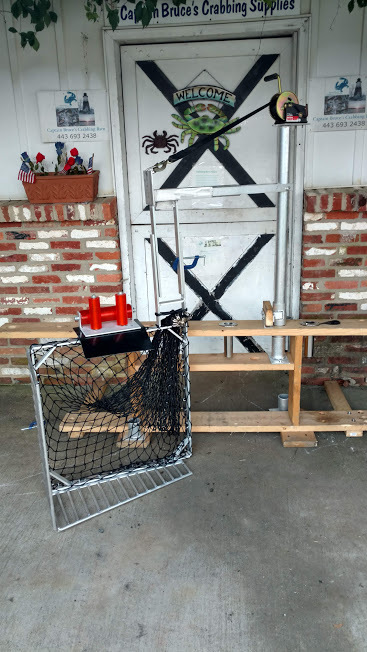 Total weight of basket and net is about 38 lbs (included with the dipper are poles, brackets, hardware and winch). Everything is included for a complete dipper. 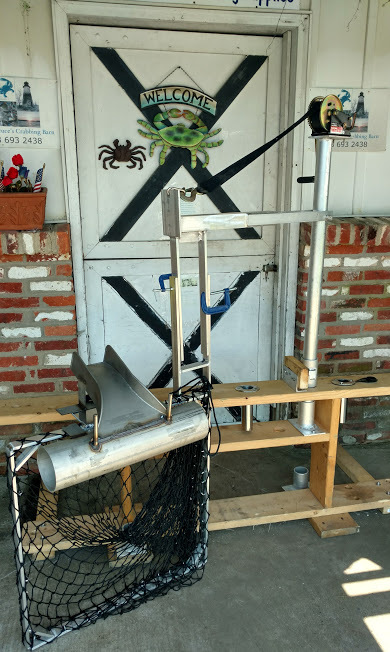 Now you can go in half with your crabbing buddy on an auto dipper and use it on as many boats as you want. 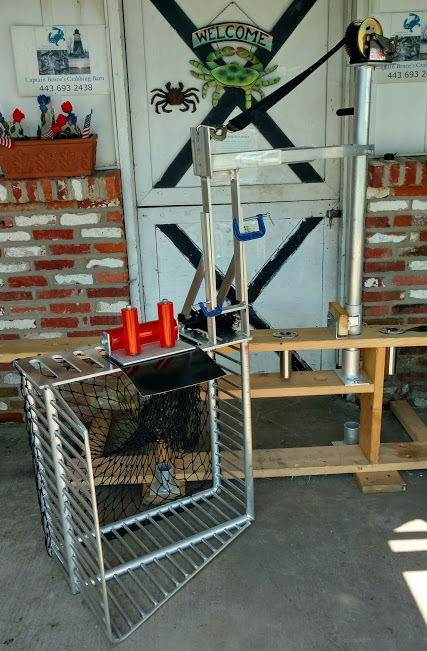 Just order and install brackets (complete with SS mounting hardware) in other boats and lift the auto dipper and pole and just slide it into the brackets in your buddy's boat.